Stoppers No. 5-11 racked on an OvalWire carabiner. Black Diamond Stoppers are an essential for every trad rack, designed with a transverse taper that permits sideways placements in flares and shallow seams. Anodized by size, they're quickly identifiable and rounded edges make for easy removal. 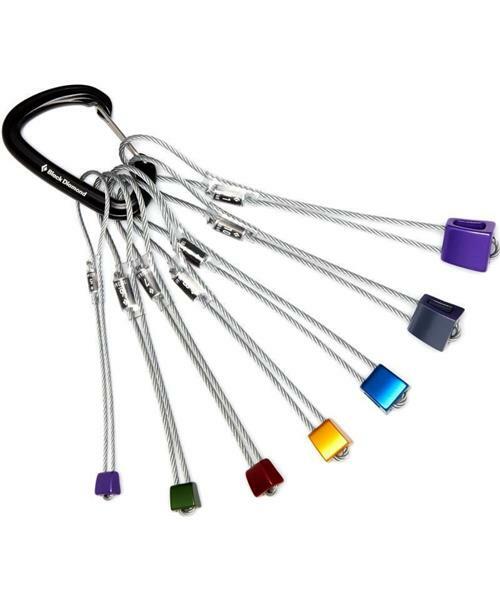 Each Stopper is equipped with a durable, galvanized steel cable.